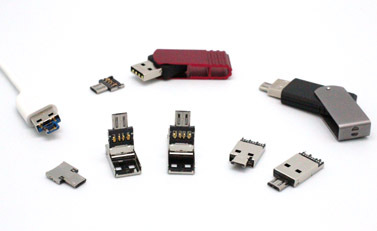 Unlike standard USB A plug or Micro USB B plug can only connect to its socket separately, UCP connectors links either standard USB A socket or micro USB B socket to desktop, notebook and mobile phones. 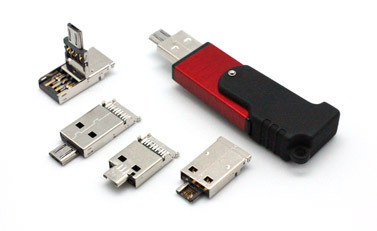 USB flash drives with UCP (USB Combo Plug) allow you connect Standard USB A type socket to desktop, notebook or connect to micro USB B type socket on your mobile phone directly. 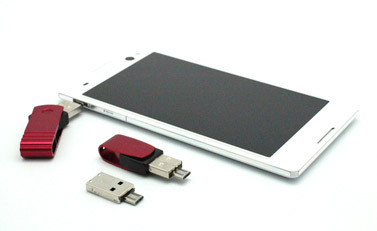 On The Go function enables your mobile phone and handheld devices for instant data access. 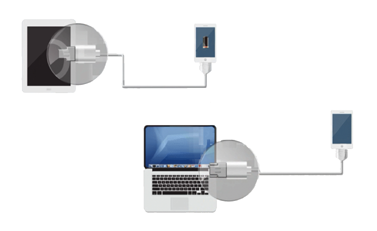 Cable assemblies with UCP allow connections between phone to phone and phone to notebook/desktop. 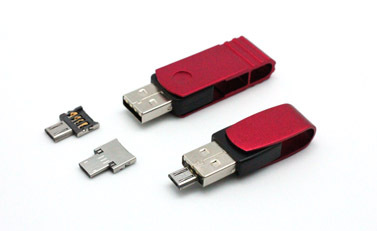 This is an accessory which you can simply insert straight onto your standard USB and it turns to a micro USB B type USB for instant data transmission. 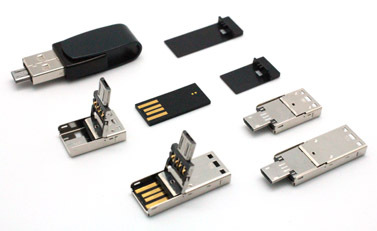 UCP COB type connectors are designed to be soldered on the PCB of USB Flash Drives with surface mount technology. Both hinge type and fixed type are available. 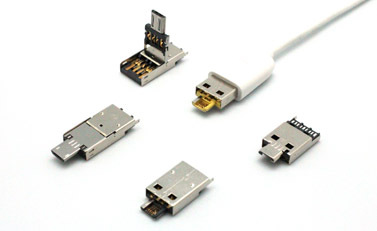 UCP UDP type connectors are designed to be assembled with UDP of USB Flash Drives.